My 50th state marathon is fast approaching. 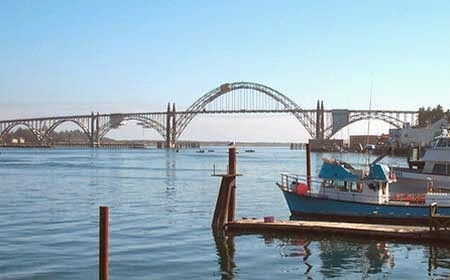 I’m scheduled to run the Newport Marathon in Oregon on May 30th. Not only will Oregon by my 50th marathon state, but it will also be the 50th state I’ve visited. I’ve never been there. It’s a long flight across the country, and I’m not taking a lot of time off work, so Scot and I will need to plan our sightseeing wisely. 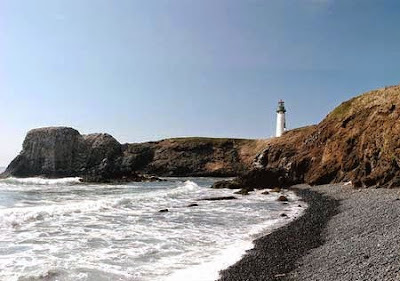 There’s so much to see, but we’ll limit it to Portland, Newport, Salem (the state capital, done as a drive-by), and the Pacific Coast Highway along the Oregon coast. 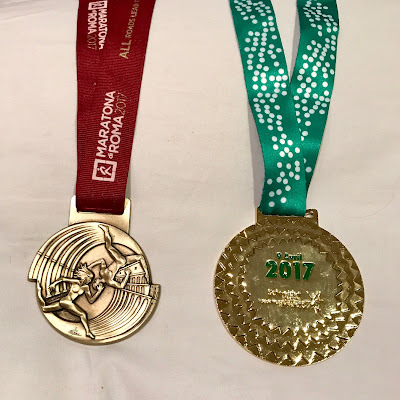 I’ve run 64 marathons and 33 half marathons. So, why am I a little nervous? My nerves should have been reserved for New Jersey, my nemesis state, which I conquered last month. I have no issues with Oregon…just that it represents this awesome milestone of finishing a full marathon in all 50 states. I’m not injured. I am under-trained, but what’s new? I’ll finish this marathon. And it will be beautiful. And I’ll have a handful of friends there to celebrate with me. In 2004 I began training for my first marathon, the 2005 Mardi Gras Marathon in New Orleans. At that time, I had absolutely no idea that it would start me on this awesome journey. I wasn’t a runner. I hadn’t even done a 5K when I jumped right into marathon training. I could not have imagined that 10 years later I’d be running a marathon in my 50th state. I didn’t even know that was a “thing”. I was not familiar with the 50 States Marathon Club, of which I’m a member…or the 50 & DC Marathon Group, a similar club. I wasn’t aware of the many runners who have accomplished this feat without even having such a club affiliation. I didn’t know that the 50 states finishers came not only from the US, but also from Canada and countries overseas. 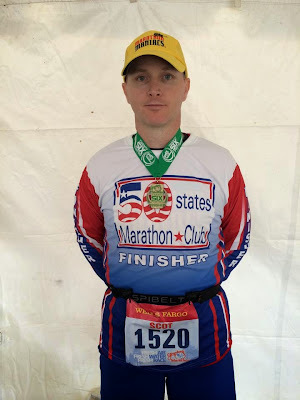 Scot's 50 States finish at 2014 Grandma's Marathon in Minnesota; I'm next! But here I am. I’m doing it. I’m almost done. In a few short days I’ll be a 50 States Finisher and I’ll be able to proudly wear a shirt that broadcasts that fact. I’ll join an illustrious group of marathoners who have also accomplished this feat, many of whom are my friends, one of whom is my husband. I’m almost there. I’m just a little nervous.